Finishing in third place is the International Rescue Committee, which makes its debut in our Top-Rated Workplaces rankings. The global humanitarian aid and relief organization was initially founded in 1933 at the request of Albert Einstein after he and thousands of other Jews fled persecution in Nazi Germany, and it now offers assistance and relief to refugees and those displaced by war, natural disasters and more. Rounding out the top five are Habitat for Humanity (#4), which seeks to build affordable homes for low-income families, as well as AARP (#5), which among other things aims to make life better and more purposeful for older Americans by providing the training and resources necessary to get them back into the workforce. The rest of the list features nonprofits that address a diverse mix of causes, with many health care nonprofits included, such as Alzheimer’s Association (#10), Leukemia and Lymphoma Society (#13), American Heart Association (#16) and Planned Parenthood (#19). We also see PRIDE Industries (#18), one of the nation’s largest employers of people with disabilities, which seeks to help their members overcome employment obstacles and lead productive, independent lives. Recently, PRIDE Industries was awarded a multiyear janitorial services contract with Seattle-Tacoma International Airport. Another top-rated nonprofit is YWCA (#15), which works for the empowerment and rights of women worldwide. Two of their special initiatives include their “Stand Against Racism” campaign, which aims to raise awareness on the negative impact of racism in our communities, and their “Week Without Violence” initiative, which is part of a global movement to end gender-based violence. So what are the top five nonprofits doing right? Let’s take a deeper dive into what employees are saying. The top five — what are they doing right? Communities in Schools aims to keep kids in schools and combat the high dropout rate common among low-income students. In the last school year alone, 99% of case-managed students stayed in school, and 88% of them met or made progress toward their academic improvement goals. Others also praise the “supportive management team” and flexible “work/life balance,” and they say Communities in Schools is a great place to work if you love helping kids. Another employee says the organization’s vision to see students excel in academia is a big part of what makes the work experience so enjoyable and rewarding. The Boy Scouts of America aims to build character in future leaders by encouraging the youth to participate in outdoor activities and educational programs. But it’s not just the kids who love it there. One reviewer says the staff is like a “big family” and praises the fair evaluations and good communication between employees and managers. The reviewer adds, “The benefits are very good, and you feel like what you are doing matters” but cautions that the hours can be long in field-related positions. The IRC was initially founded in 1933 in response to the events of WWII. Nowadays, the organization offers emergency aid and assistance to refugees and those displaced by war, persecution or natural disaster. An employee enjoys the “challenging and rewarding” atmosphere and says the combination of a “diverse staff” and “great management team” makes the environment one where you can thrive. The staff also works together as a family in order to address the needs of clients. Habitat for Humanity has been devoted to building affordable housing for low-income families internationally since it was founded in 1976. Former president Jimmy Carter and his wife, Rosalynn, have been helping build homes with the nonprofit since 1984. Recently, the organization helped families in Texas rebuild their homes after the destruction left by Hurricane Harvey last year. We’re living in an aging population, with census data showing that by 2030, older people are expected to outnumber children for the first time in US history. The goal of AARP (formerly American Association of Retired Persons) is to help older Americans remain physically and intellectually active by serving others. One way they do this is through providing resources and training; for example, they just released an AARP “for dummies” book called Navigating Your Later Years for Dummies. One employee says the most rewarding thing about working for AARP is “the ability to help people who are 55-plus get back into the workforce and allay their fears.” Another likes the “strong culture of mentoring” that helps ensure employees develop the skills necessary for long-term success in their careers. 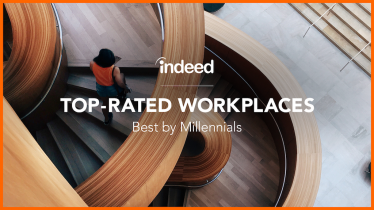 The reviewers also praised the “diversified staff” that was like a “support network” and the “incredibly positive, ambitious and energetic people who are always there to support you in and out of the workplace.